As a high school student, I often run into the dilema as to how to best carry all my needed supplies. Sure, I would love to be the girl who forgoes her binders and books for a stylish purse, but alas, the type-A in me cannot go without her organizational skills. 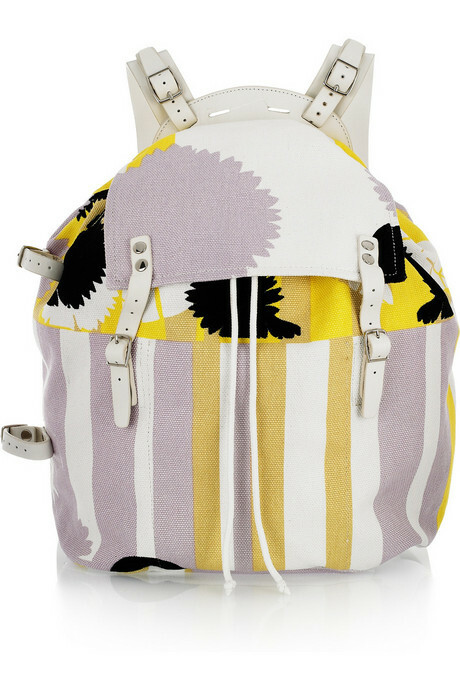 This Diane Von Furstenberg backpack is the perfect solution to all my schoolgirl woes! The canvas is wonderful for practicality, and the vibrant yellows and modern floral print give it a cool surfer girl look.